Discussion in 'Price Drops, Must-Have Freebies, and Deals' started by Card, Oct 29, 2015. First time it's been on sale since 2011. 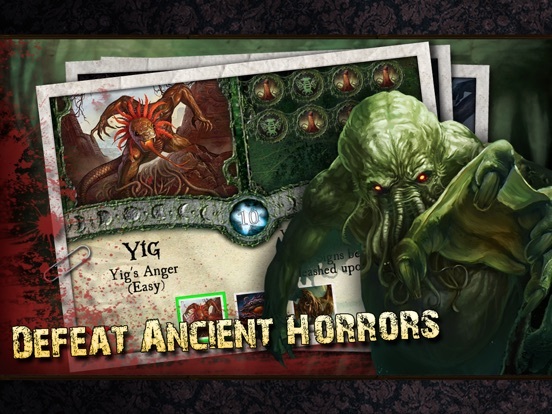 **Please note that this verision of Elder Sign: Omens is iPad only. 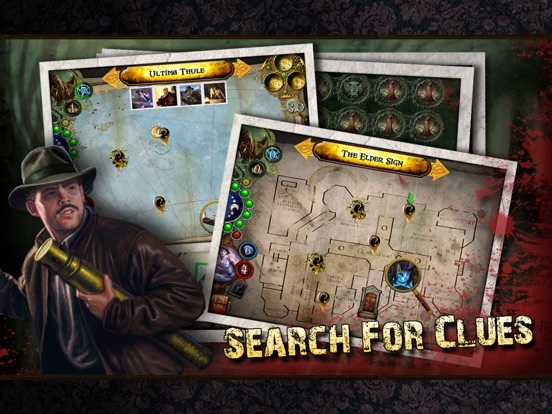 The iPhone version is sold separately** “GAME OF THE WEEK” - G4TV.com TOUCH ARCADE - 4.5 out of 5 148APPS.COM - 4.5 out of 5 GAMEZEBO- 4.5 out of 5 BOARD GAME GEEK - 3 out of 4 The tense excitement of Elder Sign is now available on your mobile device! Elder Sign: Omens places you in control of up to four intrepid investigators, as they fight to keep all-powerful Ancient Ones from invading our world through a museum’s arcane exhibits! 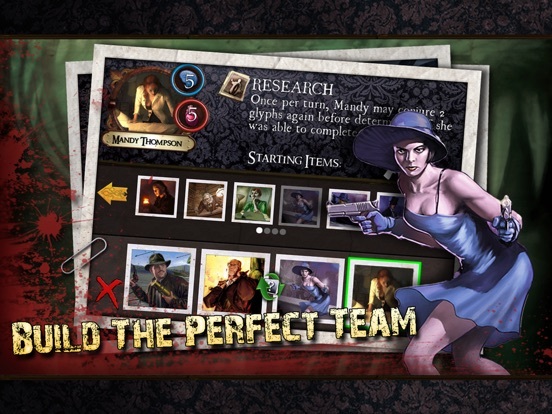 *Build a team of unique investigators* *Explore an ever-changing museum* *Face challenging arcane tasks* *Save the world from absolute destruction* *Expand the horror with two exciting in-app purchases* Can you stand against the impending arrival of a malevolent Ancient One? 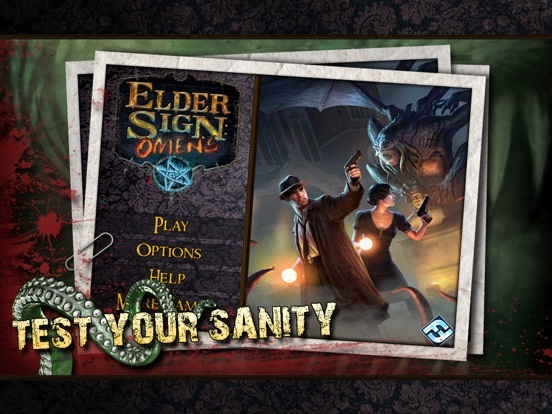 While Elder Sign: Omens brilliantly conveys the spirit of the Elder Sign dice game, a few noteworthy differences were adopted to optimize the mobile play experience: -A limited number of available Ancient Ones streamlines the game play experience while offering adjustable levels of difficulty. 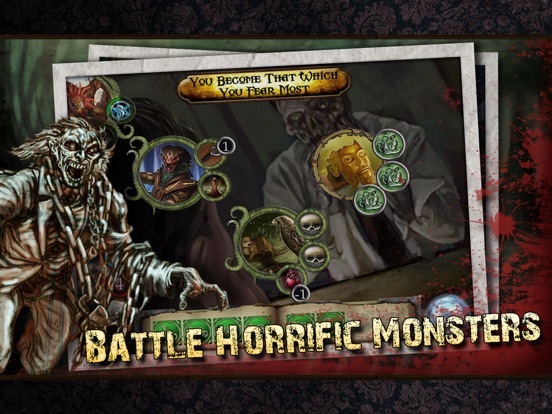 Face Yig in normal mode, Azathoth or Tsathoggua in hard mode, or Cthulhu or Ithaqua in very hard mode (in-app purchases required to face Cthulhu and Ithaqua). -A number of subtle changes increase the peril of defending humanity. For example, the random negative effects drawn every midnight are more challenging, and the frequency of “no effect” results has been decreased. Monsters have likewise been altered to make them more difficult. -Finally, there are no Ally cards in Elder Sign: Omens, which further streamlines play while increasing the overall challenge. This is stupid cheap for this game. Easily worth the full price. This is the first time is has been on sale since its release, sounds like a steal to me.. Downloading now! The iPhone version is on sale as well. Regular price $3.99. I've looked at this a few times, I really like the sound of it but I'm not sure, is it complicated? Is it worth playing solo, as I don't play with others? DLC is on sale? Can't wait to get home to buy it. One the few games that never leaves my devices. It's worth .99 just to watch the opening movie and let the main menu music play. I am the same as you, but i figured for a buck, I'd take the gamble and find out..
Yeah, I think I will too.